If you have multiple cats, it's possible that they might not always get along. If your cats are fighting, it's important that you know how to break them up without getting hurt yourself. The adrenaline going through your cats' bodies while they are fighting can easily be turned on you if you get in the way. Using your hands, feet, legs, or any other body part to get between cats that are fighting is almost sure to get you scratched and bitten. Cat bites can cause serious injury, so they are something to be avoided as much as possible. Always stay outside of the fray when trying to interrupt a cat fight. Clap your hands loudly and shout, toss some toys toward the cats, use a spray bottle of water to disrupt them, or shake a can that's half-filled with coins. 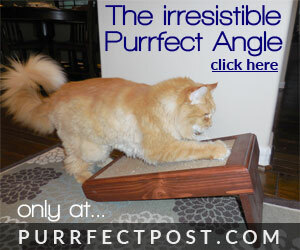 You can also use a couch cushion to get between the two fighting cats without risking your body parts. After you get the cats to stop fighting, it's best to separate them for a while. 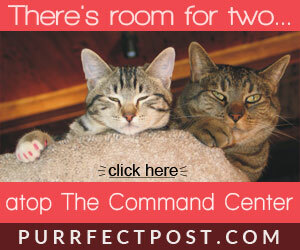 Make sure they each have food, water, a cat bed, and a litter box. Let things simmer down. Once both cats seem to have relaxed body language and are no longer agitated, you may be able to allow them together again. Once they are calm, look over each cat thoroughly, examining them for bite wounds or other injuries. Continue to monitor them for several days because cat bites can be hard to see initially; they may become visible as firm swellings when an abscess forms a few days later. The abscess will usually cause a fever and decreased appetite, too. Be sure you have plenty of all of these resources, scattered in different areas of the home, so that none of the cats feel like they need to fight for or guard any of them. Sometimes cats fight because they're bored. You need to provide indoor cats with plenty of enrichment to keep them mentally and physically healthy and relaxed. 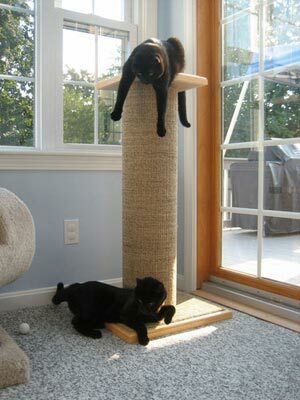 Scratching posts are an incredibly important tool for helping cats destress and let off steam. 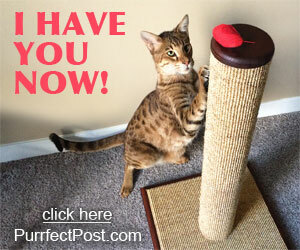 Regular play sessions with wand toys also help cats stay happy. Break meals up into several small ones instead of one large one, and leave the meals hidden around the house to hunt and find; this is great enrichment, as are puzzle toys that cats need to work on to get a treat or some kibble. If you notice that your cats always fight in a particular area of the house, you might need to provide more vertical space in that area so that the cats can get away from one another. You can do this by clearing off stable shelves or windowsills, building catwalks or perches up high, and adding tall scratching posts to the area. Feliway, a copy of the feline calming pheromone that mother cats emit to help their kittens feel peaceful, can be used in effectively in multi-cat households. Using diffusers in "hotspots" around your home such as near food and water areas can help relieve stress and decrease fighting. Most of the time, cats that are play-wrestling don't make much noise. Yowling and spitting indicate real fighting. 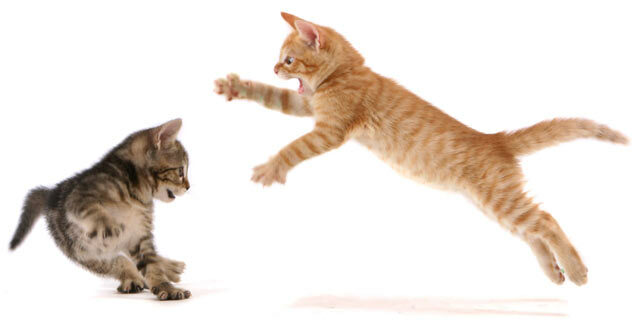 Cats that are playing tend to move more slowly than fighters, and they separate and re-engage a lot. Cats that are fighting tend to keep at it, and when they do separate, they continue to face each other, usually with their ears laid back, and their bodies are tense.